And my imaginary girl is off to Milan... Looking very Valentino, or so I say. 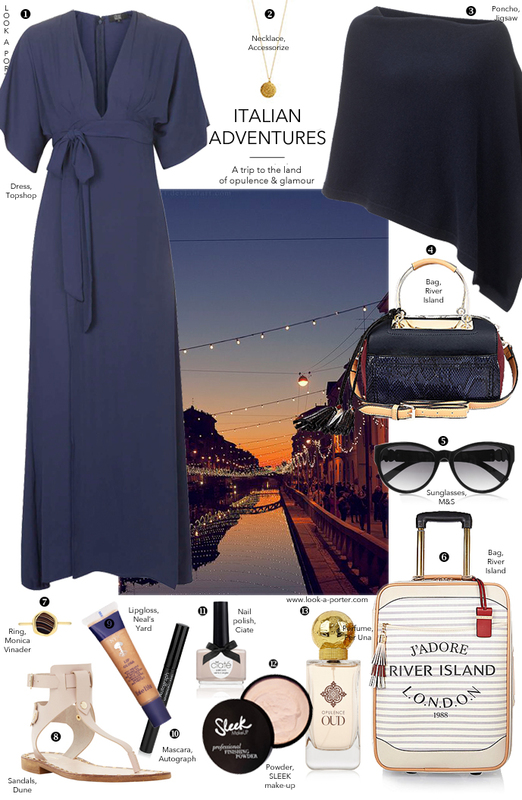 I took inspiration from the latest collections as well as editorials from the 1970s Italian Vogues, then used British high street to style my idea of a perfect budget-friendly look to travel from one fashion capital to the other. This entire set comes to £450, which is pretty sensible considering that it gives you an outfit, gorgeous designer jewellery, travel bag and a full size beauty kit including a gorgeous perfume.